Britain’s future king paid a visit to the location in Ireland where his great-uncle, Lord Mountbatten, and three others were killed by an IRA bomb in 1979. The Prince of Wales made the journey to the historic site in County Sligo, western Ireland, on Wednesday. Mountbatten died along with his grandson and a young local boy when the IRA detonated a bomb on a fishing boat in which he was traveling. A fourth victim, Lady Brabourne, died of grievous injuries the following day. Speaking ahead of the visit, Prince Charles said: “At the time I could not imagine how we could come to terms with the anguish of such a deep loss, since for me Lord Mountbatten represented the grandfather I never had. "It seemed as if the foundations of all that we held dear in life had been torn apart irreparably,” he added. "Through this experience, I now understand in a profound way the agonies borne by so many others in these islands, of whatever faith, denomination or political tradition." 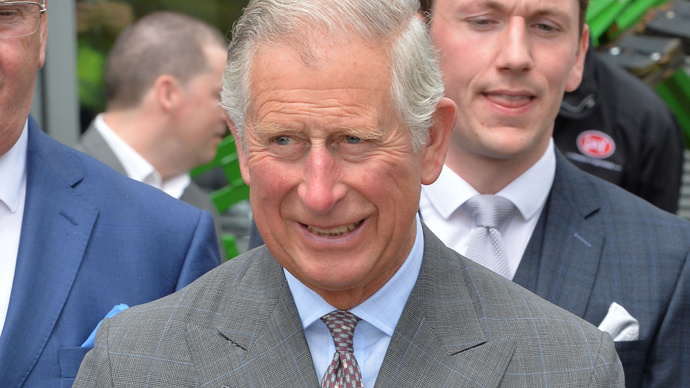 The Prince of Wales’ visit to Ireland has attracted controversy in recent days, with commentators and peace activists dismissing his much-publicized encounter with Sinn Fein leader Gerry Adams as political theater. The meeting between Adams and Prince Charles is set to go ahead Thursday. Adams was a senior IRA figure at the time Mountbatten was murdered. Speaking to RT on Tuesday, a peace activist from Derry said the meeting with the prince was largely theatrical. “I think talking is the way forward but it’s all pomp and ceremony with Charles, it’s lip service and an opportunity to buoy up his flagging popularity,” Fiona Gallagher said. Gallagher's brother was buried 39 years ago, after being killed by a British soldier at the age of 21. She argued that the meeting was contentious. The families of those affected by the Troubles should have been consulted more, she said, adding that the victims of the Bloody Sunday massacre, in particular, should have been considered. Gallagher said that Prince Charles would be “welcomed as a royal” while those who suffered at the hands of UK forces during the troubles are still ruled by the British monarchy. She suggested the meeting was partially aimed at improving the image of Sinn Fein in the Republic of Ireland, where the party is trying to win over middle-class voters. She predicted it would backfire, however. “I think they will lose grassroots republicans and nationalists and gain the middle classes, middle of the road money people. It’s all about the financial backing,” Gallagher told RT.